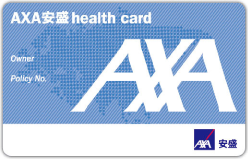 The protection of privacy in relation to personal data is the concern of every person in AXA China Region Insurance Company (Bermuda) Limited (Incorporated in Bermuda with limited liability) / AXA China Region Insurance Company Limited / AXA General Insurance Hong Kong Limited / AXA Wealth Management (HK) Limited (referred to hereinafter as the “Company”). The Company respects personal data privacy and is committed to fully implementing and complying with the requirements under the Personal Data (Privacy) Ordinance (Cap. 486) (“PDPO”). Personal data will be collected only for lawful and relevant purposes and all practicable steps will be taken to ensure that personal data held by the Company is accurate. The Company will take all practicable steps to ensure security of the personal data and to avoid unauthorized or accidental access, erasure or other use. When you browse this website, cookies will be stored in your computer’s hard drive. The purpose of using cookies is to 1) facilitate the content display and successful redirection to the correct page upon your clicking on the changing banner; and 2) remember that you have visited our website as well as what interested you on our website, such as the pages you viewed. When you use this website, the Company will record anonymous statistics about your visit and do not collect any information which identifies your personal identity until you in fact decide to buy any of our products. Our service providers make a record of your visit that includes but not limited to IP addresses (and domain names), the types and configurations of browsers, language settings, geo-locations, operating systems, previous sites visited, and time/duration and the pages visited. We may engage with third parties to provide us with certain analytical services to better understand our visitors, who may use various third party technologies to collect and store anonymous information when you visit our website, and this may include using cookies, web beacons and similar mechanisms to collect information when you click on or move your cursor over their buttons. We may have access to this information to permit us to identify other websites that you have visited that are also associated with that third party. In doing so, however, these third parties do not collect personal information (unless you explicitly provide it to them), and we do not give any personally identifiable information to them. These third parties may collect certain non-personally identifiable information such as what web site a visitor came from, your IP address, and what type of browser you are using. These companies may also use non-personally identifiable information during your visits to this and other websites in order to provide advertisements about goods and services likely to be of greater interest to you, and we do not control the dissemination of these third party cookies, web beacons and similar mechanisms. We store the information under a secure site with 128-bit encryption. Sensitive data to and from AXA China Region is encrypted through the Secure Socket Layer (SSL) protocol. Allow you to verify the site belongs to AXA China Region by reviewing our registered Electronic Certificate from VeriSign with the following information.